Family of Brenda Matsen Makes Gift to FD Comm. Schools Foundation Matsen, a former FDCS Foundation Board Member, died in December 2017 When the family of Brenda Matsen talked about honoring her legacy, they immediately thought of giving back to the Fort Dodge Community School District. “Education meant a lot to her (Brenda),” said Jess Matsen, of his late wife. “We are an education family. We value it.” This education family is also a Fort Dodge Community School District family. Jess was a teacher and principal in the district for 35 years. His last job was principal at Fair Oaks Middle School. He retired in 2011. His wife Brenda passed away in December of 2017 from pulmonary fibrosis. Jess says her love of education was evident in the fact that she went back to school later in life to earn a Business Degree from Buena Vista University. Brenda was in college at the same time as her oldest daughter, Jen. Jen (Matsen) Curtis, is a 1998 Fort Dodge Senior High (FDSH) graduate. Jess and Brenda’s other daughter, Ashley (Matsen) O’Brion, graduated from FDSH in 2004. “I hold a special place in my heart for Fort Dodge,” said Jen. “I do a lot of storytelling in my current job and I use the skills I learned while writing for The Little Dodger every single day.” Ashley also has fond memories of her time at FDSH. “I loved being a cheerleader for the Dodgers and being on Dodger Senate,” she said. The family chose to honor their mother by having their $2500 gift go to testing costs for Advanced Placement (AP) exams for FDSH students. “We want everyone who challenges themselves by taking the advanced course work to have the opportunity to take the AP exam, regardless of their socioeconomic status,” said Jen (Matsen) Curtis. “My Mom would have liked that idea. Education was so important to her." According to FDSH TAG Advisor Julie Hughes, the AP exam scores help determine whether a student will receive college credit for taking the AP course. The test costs $94, students who qualify for free and reduced lunches pay $53. “We are so grateful for this donation,” said Hughes. “To erase the financial barrier that accompanies the exam, reinforces that this challenging course work is all about learning." The family made the donation through the Fort Dodge Community Schools (FDCS) Foundation. Both Brenda and Ashley served on the FDCS Foundation Board. “Being on the board was my Mom’s way of giving back to the Fort Dodge Community Schools,” said Ashley. “She loved planning the annual fundraiser and welcoming the hundreds of community members who attended the event in support of students.” Jess said when he was a teacher and principal he was so grateful for all of the learning tools that gifts to the Foundation helped add to the district. “The Foundation is such an important resource for teachers," said Jess. The family that values education agrees that a donation that will allow all students who challenge themselves to get credit for it, is just what Brenda would have wanted. 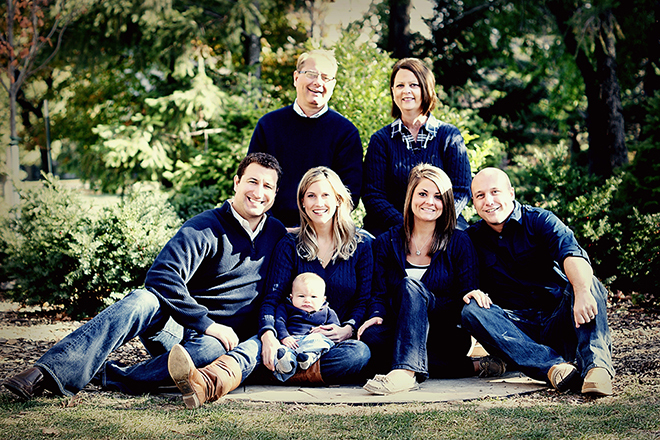 About the Matsen Family: Brenda grew up in Alta, IA. She worked for Land O’Lakes and the Fort Dodge Laboratories. She was first diagnosed with cancer in 1986 and bravely fought many health battles including cancers, heart failure and diabetes for the next 30 years. She passed away in Arizona on December 23, 2017 at age 61. She served on the FDCS Foundation Board from 2007-2010. Brenda and Jess Matsen were married for 39 years. Jess lives in Arizona were he enjoys the warm weather and golf. Ashley also lives in Arizona. She is married to fellow FDSH alum, C.J. O’Brion. They have two daughters, Taylor and Avery. Ashley is a Major Gifts Officer for the Phoenix Children’s Hospital Foundation. Jen lives in a suburb of Chicago. She is the Director of People Strategy for Schneider Electric. Jen is married to Chad Curtis. They have two children, Spencer and Lauren.